We aim to deliver a high quality English curriculum that gives children the best possible opportunities to become confident and successful readers and writers with a deep love and understanding of the English language to ensure they receive the best start they can in life. Reading is taught in a variety of ways in St Luke’s to ensure we meet the needs of all children. We have had great success using this programme which has become embedded in our curriculum over a number of years. Children are taught discreet reading skills daily through a variety of text types. The children follow a cyclic approach which covers all areas of the curriculum focusing on key content domains. The Guided Reading cycle is tailored to meet the differing needs of Key Stage One and also Key Stage two. The cycle is reviewed regularly with children and staff to ensure it meets the needs of the curriculum and children. In St Luke’s, we are using Project X to help address any gaps children may have in Literacy. This daily programme helps to build children’s confidence, fluency and comprehension skills in order to help them reach their potential in English. Project X can also be used to motivate boys and close the gender gap in Literacy. 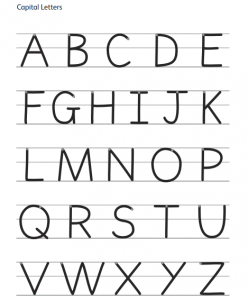 Children will be taught how to write cursively using the programme Letter Join. 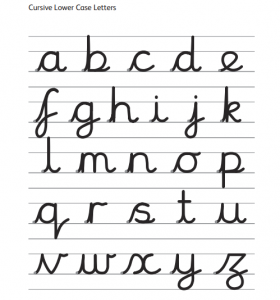 Children in Year 2-6 will follow and complete the No Nonsense Spelling programme. The programme is designed to teach children strategies, knowledge and skills to help them to learn their spellings. The programme has clear progression throughout the year groups which enables children to fully meet the requirements of the 2014 National Curriculum.